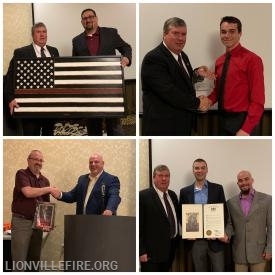 This past Saturday night, Members of the Lionville Fire Company gathered at the Hilton Garden Inn, for the 2018 annual banquet. We had the privilege of having Commissioner Adam K. Thiel, of the Philadelphia Fire Department, as the evening’s Guest Speaker. 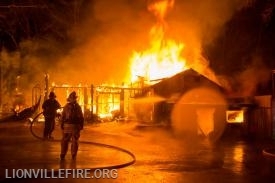 At 5:15am this morning, Lionville Fire Company, along with West Whiteland Fire Company, Downingtown Fire Department, East Brandywine Fire Company, and Uwchlan Ambulance were dispatched for a building fire, on W. Uwchlan Ave. Arriving units were met with a fully involved lawn mower repair shop. Crews battled the fire for over four hours. 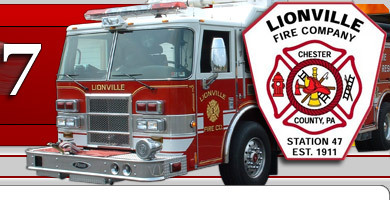 On Saturday April 6th, Lionville Fire Company was dispatched for a large animal rescue on Lionville Station Road. Units were clearing a previous call when notified of the rescue, therefore Rescue 47, Engine 47-2, Tower 47, Engine 47-5 and Utility 47 all made the response to Lionville Station Road. During their annual Cookie Sale, Girl Scout Troops from the Pickering Valley Service unit collected cookies to be donated to Hometown Heroes. Tonight, Girl Scout Jordan Walter stopped into the station to deliver the donated cookies to our dedicated Volunteers, who were preparing for their weekly training. 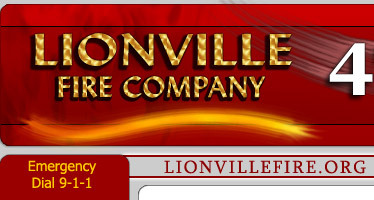 The Officers and Membership of the Lionville Fire Company offer heartfelt condolences to the family and friends of Dave Jones, as well as our neighbors at the West Whiteland Fire Company. March 9th is the 21th anniversary of the PA Turnpike crash that killed firefighter Dave Good and injured 9 others in the Line of Duty. 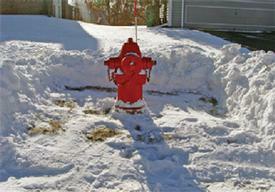 Firefighter David Good was 38 years old and had 5 years of service as a Firefighter with Lionville Fire Company. He was survived by his wife Maryanne and two sons, Johnathan and Jason Good. 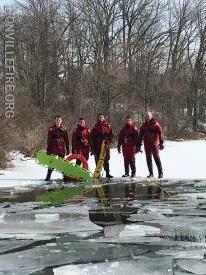 This past week, Lionville Fire Company took advantage of the frozen conditions at both Jones Pond and Marsh Creek State Park, to complete some Ice Rescue Training. Members practiced a variety of different skills on how to rescue a person who has entered the icy waters. As a reminder, no ice is safe ice. 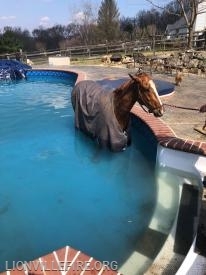 Use caution this winter around waterways and ponds.